Disagreements between Russian officials and Ukrainian air crews, combined with a shortened ice season, kept the camp from opening, sources told the Independent Barents Observer. Barneo, Russia’s annual ice camp at the North Pole won’t open for the first time in 18 years, thanks to a combination of chilly politics and a warming climate. Difference between Ukrainian planes and crew and Russians in charge of the camp and logistics turned out to be real trouble near the top of the world. Now, they are blaming each others for screwing up the 2019 season, sources in Murmansk tell the Barents Observer. 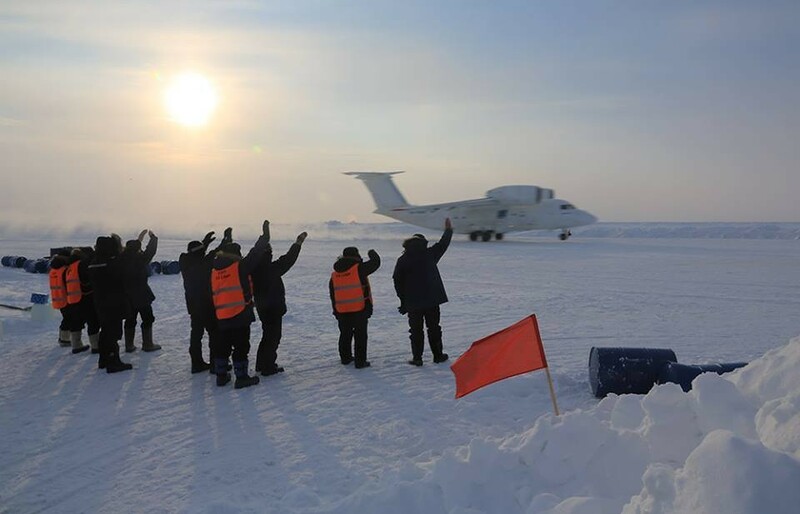 Preparations for Barneo, the ice camp made at 89 degrees north every year since 2002, have been going on for weeks with parachuters and equipment flying up north from Murmansk since late March. But since Murmansk is too far away, passengers and logistics have traditionally been flying out of Longyearbyen on Svalbard, halfway between mainland Europe and the North Pole, onboard Ukrainian An-74 planes. During a few weeks window in April, the camp has served researchers, North Pole skiers and explorers from around the globe. In the last few years, also Russian politicians, paramilitary groups and border guards have visited the camp. Longyearbyen is the northernmost civilian airport and has every year served the camp via an airstrip made on the ice near the North Pole. Barneo was supposed to open on April 1, but was delayed for a few days due to problems of completing the ice runway. Then, political turmoil caused further delays as Russian officials banned Ukrainian pilots and crew from flying expedition groups to the camp, Icepeople reports. Due to a rapidly warming Arctic, ice conditions have been increasingly unpredictable. Last year’s camp was the shortest ever. It officially opened on April 13 and was abandoned only 12 days later. Similarly, the ice drift of the campers was shorter than ever. The Barneo 2018 drifted only about half the distance of the Barneo 2017.